Find out how a perfumer smells a fragrance and how to avoid fatigue of the nose. How to Test, Evaluate or Smell a Perfume? When shopping for a new Perfume, a new Reed Diffuser or a new Hand or Body Lotion, it can be overwhelming to choose which one suits us best, regardless of whether we shop for Home Fragrances, Bath, Body & Skin Care or Eau de Parfums. Here, in this guide we offer a few simple tips. candles & reed diffuser: don't touch the wax or the reeds, as the scent will adhere to your fingers and hands. lotions: don't apply a little lotion to the back of your hand, as it will also influence what you sample later. Trust your nose - fragrance is very personal and you should listen to your sense. Just because somebody says its fabulous, this does not mean the particular shower gel, perfumed candle or Eau de Toilette is right for you. Even a very helpful and experienced sales consultant will be trying to help you based on their knowledge of fragrance, and not necessarily based on their knowledge of you. Reading fragrance reviews can be very helpful, however this may or may not identify the right fragrance that matches your own individual preference. A blotter or paper smelling strips also known as Mouillette (pronounced 'Moo - Yet') 'refers to the long paper cards, typically white and absorbent, that are freely available in the the perfumery sections of department stores, Specialist Shops or in the Duty Free areas of an Airport. simple, because the fragrance is applied or sprayed onto one of the strips. They do however have one downside: the perfume does not have a chance to react with your skin, which is why it is only the first step in a fragrance evaluation. It only offers a glimpse of the perfume, consider it as the initial stage of unwrapping the scent. You can, however, sample a large number of scents which is why it is one of the most important tools of a perfumer. The only limitation is your nose. Nasal fatigue sets in after about 3 x fragrances. In other words, you have saturated your nose and your ability to capture the true nature of a fragrance diminishes significantly. You may have noticed the moment in the past where suddenly everything smells the sames. This is why we recommend taking a short break after three. How to Spray Perfume onto a Blotter? Bend the end of the smelling strip upwards (it allows you to place the blotter onto a table later without the fragranced end touching the surface). Hold the smelling strip away from you and spray the perfume downwards. Spray one end of the card only, either once or twice. Don't spray too much (the card has to absorb it) and do ensure that you stay consistent with the number of times you sprayed the first card. Otherwise, you may find that an Eau de Toilette sprayed twice onto a card may appear similarly strong to that of an Eau de Parfum you only sprayed once. From now on, handle the blotter only on the unscented end. You can now pass the smelling strip under the nose. One very important thing to remember: do not touch your nose with the smelling strip, as the first perfume you try will then influence every other perfume thereafter. Try not to inhale too deeply, as this will fatigue your nose a lot faster. Instead, smell lightly and only until you perceive the first notes. Now take away the blotter and just 'sense' and enjoy the experience. You first impression are typically the 'top notes'. You can then return back to the smelling strip for another test and you will notice how the fragrance gradually changes to bring the 'heart' and 'back notes' more to the fore. You may hear people speaking about how a 'fragrance develops'. You will find that soon you will be holding 3, 4 or 5 smelling strips in your hand. Try and hold them like a fan, keeping the scented tips away from each other, i.e. the oils of one perfume don't come in contact with another to alter the scent. Remember that earlier you bent the end of the smelling strip upwards? the reason for this now becomes apparent, as you can place the cards on a surface without it touching the sprayed area. Also, rather than 'throwing away' used smelling strips, you could place the ones you love into separate compartments or pockets of your purse or hand bag, jacket or trousers pockets. However you should always insure that the smelling strips are dry, so that you do not cause damage to your clothing or material lined purses and handbags. Storing your favourite ones in this way will allow you to experience and try the fragrance much later on in the day. In a perfumery house it is a common sight to see perfumers walking around with a fan of smelling strips in one hand. Alternatively, they may use 'smelling strip holders'. They do this for the exact same reason: evaluating scents over time. What may smell superb on a mouillette might not compliment or work on your skin. Hence, once you have shortlisted 2 fragrances from your test with the blotters, trying a perfume on your skin is the next logical step. Try hard to reserve this for the very select number of fragrances that stood out for you. The warmth of your skin, your skins flora or chemistry and the skin’s natural oils will react with the perfume to create a scent on your skin that is unique to you. On your skin, the fragrance will also go through its full olfactive life cycle, in other words, you must still love it towards the end of the day when only the 'base notes' will be still present. Practically speaking, testing on your skin will limit you to your two wrists. You could spray different parts of your arm or body but the more parts you spray the higher the chances are that the difference fragrances will contaminate each other. How to Test on Your Skin? Spray your wrist, not too close and not too far. When you are testing, leave it to dry naturally, i.e. don't rub your your wrist with a finger (to prevent contamination). Without touching the wrist with your nose, inhale the perfume. Allow the fragrance to develop over time and periodically refer back to enjoy how the scent develops and changes. During this time, try to avoid washing your wrists or splashing water onto them. Don't apply another fragrance in the same area until you have thoroughly washed your hands and you are sure they are scent free. After reading the previous section, you may be delighted that we suggest the back of the hand or the lower arm. They may be more uncommon areas for fragrance testing, but are much more practical, as they are easier to smell. For the next steps, follow the same procedure that we outlined under the 'wrist' section above. 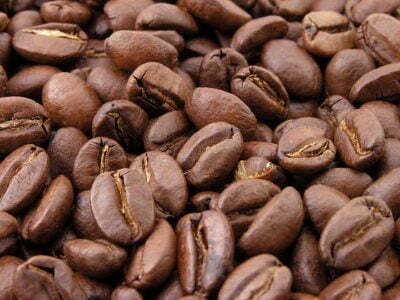 We don't recommend the use of roasted coffee beans between testing fragrance. Scientific tests have shown that they have no effect at all and in our opinion it does not make sense that you inhale something else to 'clean' your nose. Here is an analogy that we like to use: we don't tend to drink coffee between the 'starter' and the 'main course', however we may enjoy a very light sorbet to cleanse the pallet. Instead, try and smell your own skin or clothes. Perfumers tend to exhale into corner of the bent elbow to clear their nose. The best tip is to stop after having smelled 3 x different scents, to take a break of a few minutes, and then to test the next three. Be sure not to wear your own fragrance or a strong deodorant when sampling different fragrances. You will find that they interfere with your test. It is also preferable that you do not choose to try perfumes, just after you have eaten a dish that is laden'ed with garlic or heavily spiced. Don't believe it when anybody tells you that rubbing a perfume too hard can 'crush' the scent molecules, e.g. rubbing your wrists together. This is nonsense. Ask a nuclear physicist, if you are in doubt. What may happen though when rubbing your wrists together is that you spread out the perfume further, thereby increase the surface area from which the perfume can evaporate. This will not 'crush' the perfume but it will dissipate faster. A vital point before smelling perfume is to allow the alcohol to evaporate. Ironically, sales consultants in-store rarely ever caution against this. Smelling a fragrance before the alcohol has evaporated skews your perception and the zingy fumes of alcohol saturate & block your nose quickly, leading to nasal fatigue, i.e. you have to take a break. Instead, we advise to wait until the spot looks dry where you applied perfume and only then inhale to enjoy. Try and evaluate perfume in an environment free from other odours. We know this is very difficult since most department stores, perfumeries and duty free shops are completely over-saturated with fragrance. Ideally, ask for a small sample or buy one to take home allowing you to actually wear and live with the fragrance. This is the best advice when looking to find your perfume that we can give you. It is not necessary to buy your perfume the day you smell it first in the store. You may wait, test it and come back to the store. Having said this, it is wonderful feeling to treat yourself to a beautiful scent you have just discovered and fallen in love with. The Artisan Perfumers of London. Boutique Luxuries in Niche Perfumery. Natural Fragrances that Compliment You. Indie Perfumes for the CognoScenti.